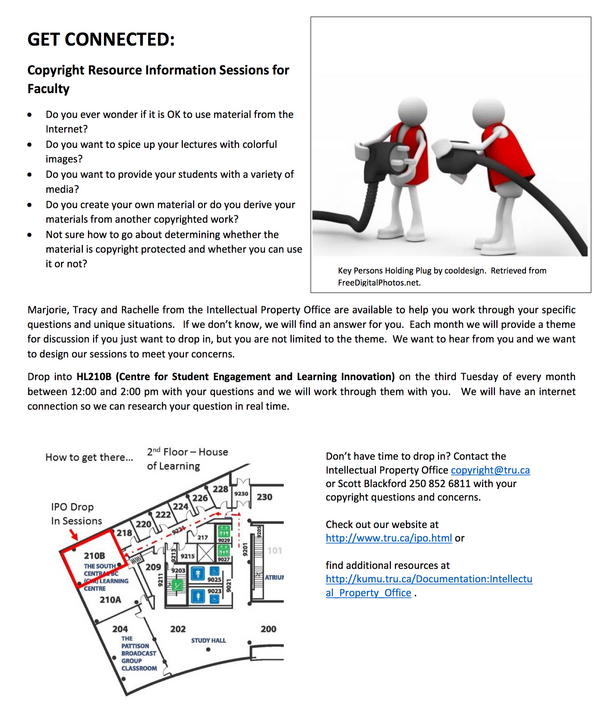 Staff from the Intellectual Property Office are available to help you work through your specific questions and unique situations with respect to using third party copyright materials. Drop into HL210B (Centre for Student Engagement and Learning Innovation) on the third Tuesday of every month between 12:00 and 2:00 pm with your questions and we will work through them with you. This page was last edited on 28 October 2014, at 14:16.